All full-time undergraduate students (taking 18 units or more) are members of the McMaster Students Union. MSU membership gives you access to the MSU Health and Dental plans and allows you to work at one of the 35 businesses and services offered by the MSU. 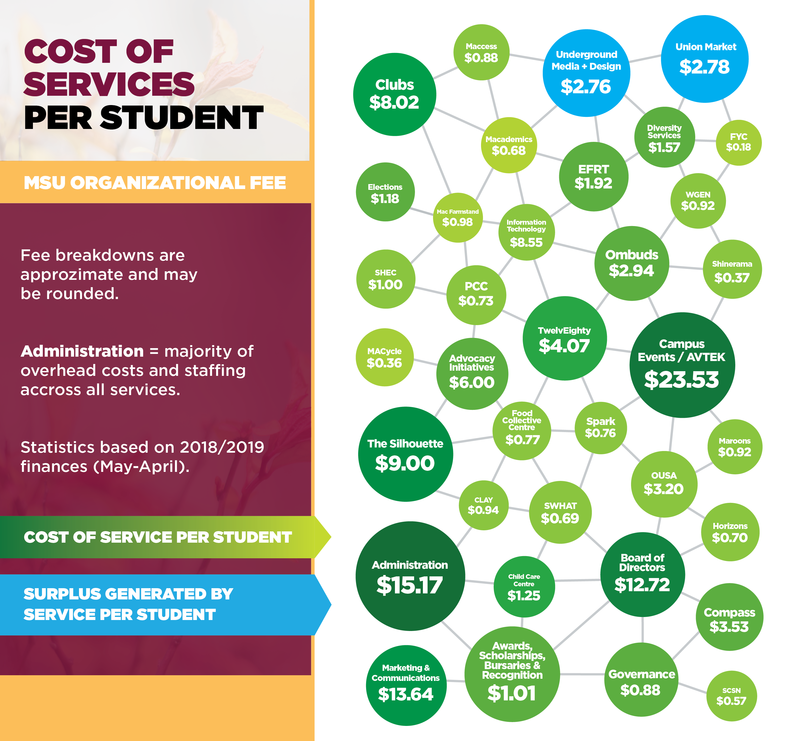 For more information on the MSU's finances, including our operating budget and audited financial statements, please click here. 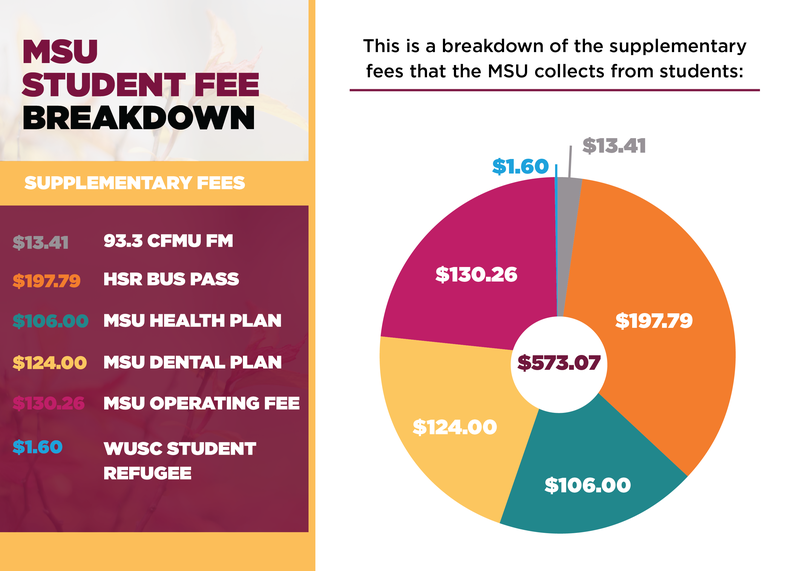 Here are some infographics that explain MSU finances and student fees. 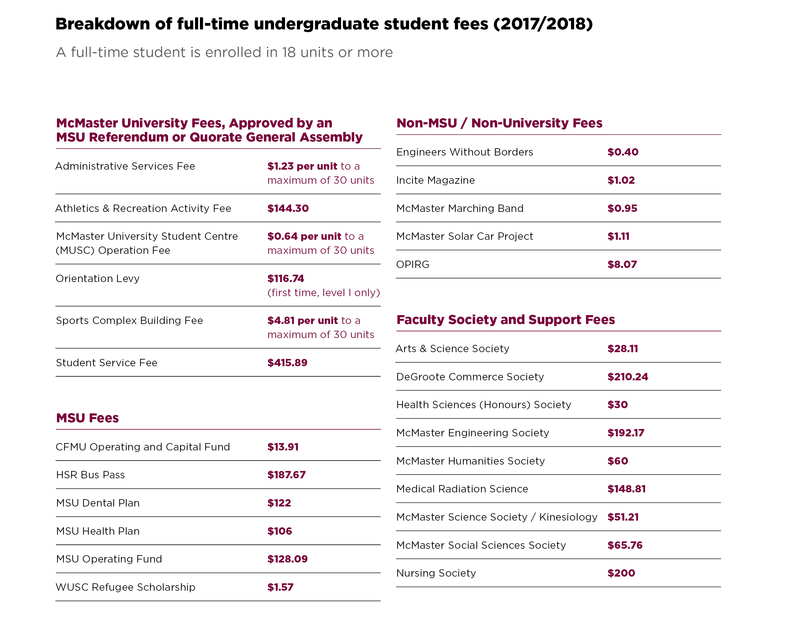 The first two illustrate how student fees are broken down for each MSU serivce, while the others show how fees that are paid to the MSU by full-time McMaster students.